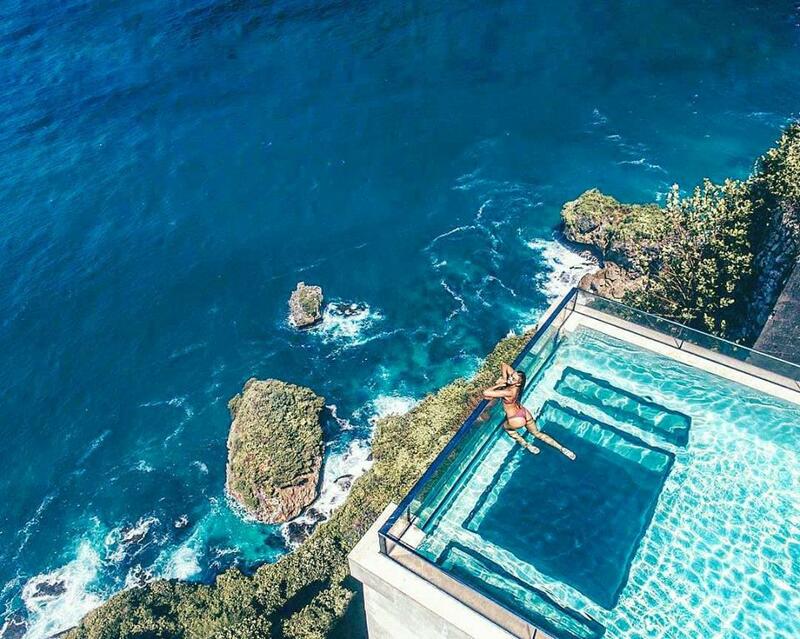 The edge Bali is one of the most popular place to visit recently . 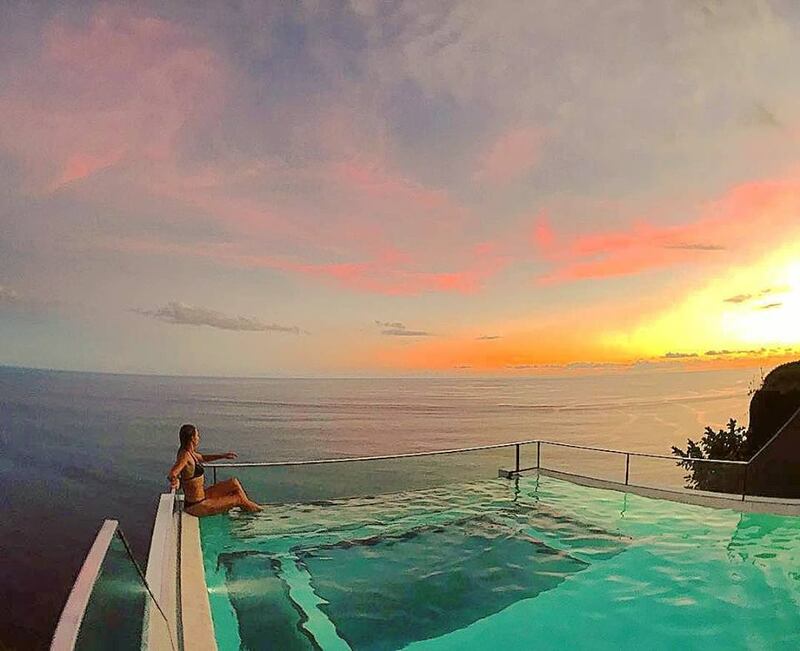 An infinity pool looking toward Indian ocean over Uluwatu cliff . Where is the Edge Bali ? what is something special about this place , why everyone asking to go there . 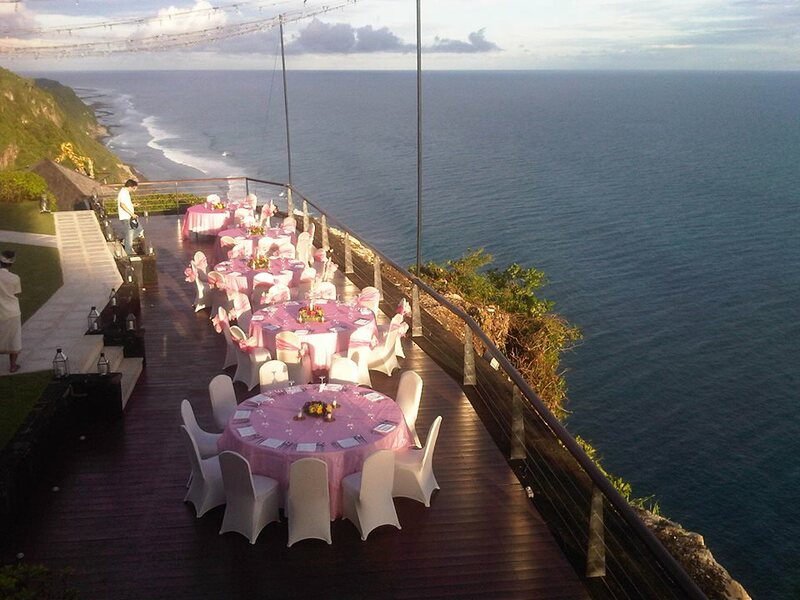 The Edge Bali is one of most asked place beside Nusa penida Island and some other restaurant in Seminyak . Most of them asking about Motel mexicola , Sea sircus restaurant , Kind community . I wonder what is something special about that place , why everyone having this place in their list during Bali trip . Its probably the tourism market trend in this recent years are changing . Most of the Bali visitors now are young peoples and mostly from Asean . The social media market , instagramer , facebooker . All they want is a nice place for picture taking background and in Bali we have that all . There are many amazing place for incredible shot . As we know Bali is the top destination for tourist all around the world according tripadvisor reviews . 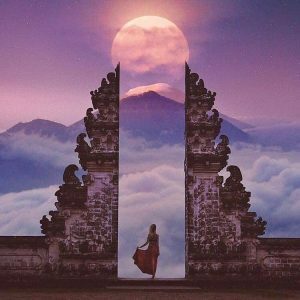 By the way I am Made , I love writing an article about Bali Island . I own tour agency and operate by myself . I observe the market demand are changing . Most of our clients doesn’t really interested with visiting temple , seeing the culture but mostly the look for some nice site for taking pictures . 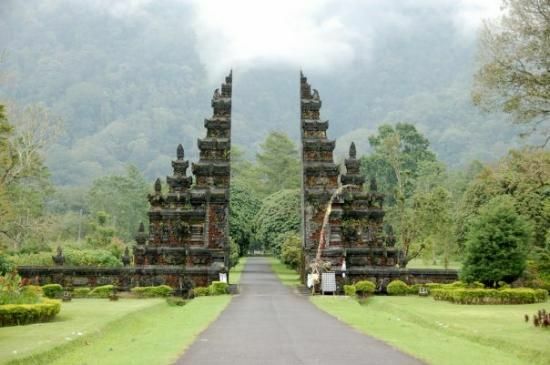 New place like Balinese temple gate become very famous to visit . You can imagine they come here just to take pictures with the traditional Bali gate as the back ground . Or the entrance , hotel alleyway but indeed this place become a very special because of the professional photographer . This two gate in a different place is most visited place recently in Bali Island . Thanks for photographer skill t make this two sites become very special place in Bali . So lets get back to the main topic about The Edge Bali . This place is located in the south part of Bali , in small village call Pecatu . 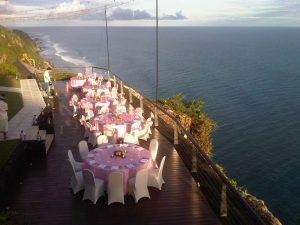 Approximately 20 minutes drive from Uluwatu temple , one of the famous temple in the south for sunset view . 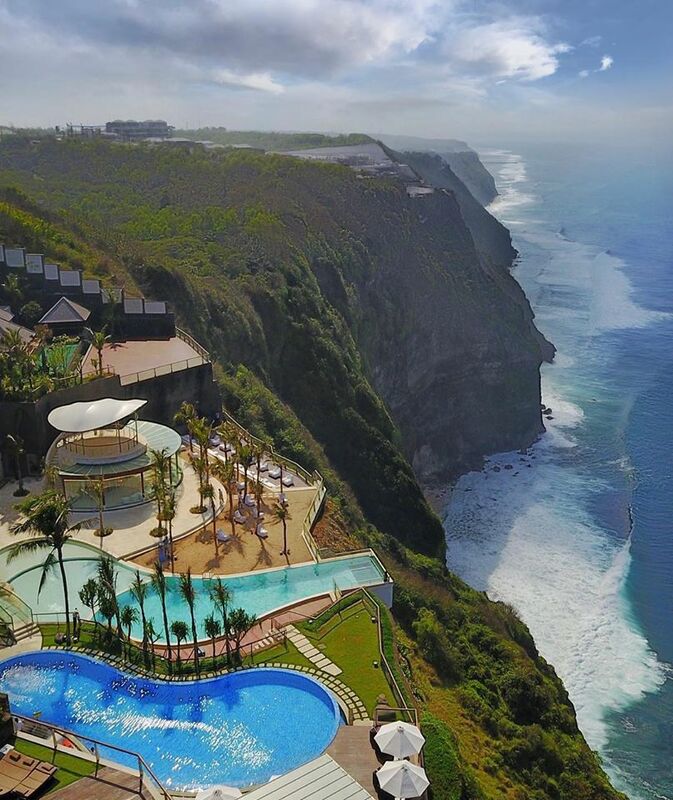 The Edge Bali is a resort with with 9 villas , each villas is build facing to Indian ocean and the resort itself is built on the cliff of Uluwatu area . The sky pool and day club is the main facility of The Edge Bali resort that most of our client’s request to visit . By the name , the sky pool is build right on the cliff facing to Indian ocean . On the top of Uluwatu cliff approximately 560 ft high with 6 meters length with an incredible view overlooking Indian ocean . The Edge Bali / One eighty club is open for walk in guest starting at 12 noon . But due to high demand and limited seats , it’s recommended to book prior arrival . Here bellow is the general information regarding the admission fees of One Eighty day club . Adults 400,000 Rupiah per person (includes 350,000 Rupiah food & beverage credit . Use of oneeighty’s Sky-pool & pool towel . To avoid the disappointment , please book one day or even the earliest that you can . So you have the booking at the Edge shorted out but don’t know how to combine that place with the sites near by in order you get there in time . Here we are GALIH BALI TOUR’s will gladly to organize your sightseeing plan that we can modify and insert the your the Edge program in .